You always feel uncomfortable with your small bedroom, there are many things to decorate or storage ect... but also you don't have enough space for them. "OMG! How do I resolve this problem?" - a familiar question, right? Relax! Everyting will be solved in this article. 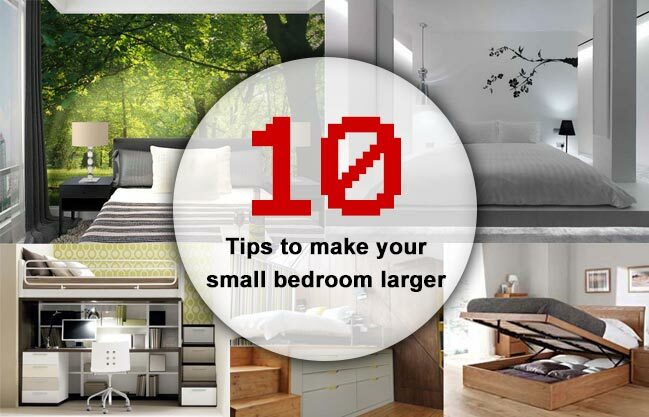 These 11 tips will show you how to make your small bedroom larger and even more beautiful by very simple things. Let's check it now! #01. Follow designers, light tone is a perfect choice for small spaces. 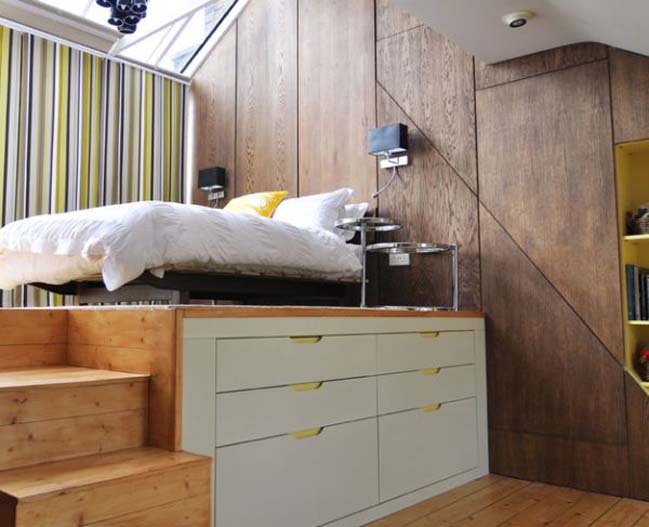 Your small bedroom will have a more spacious and brighter feeling that make you feel comfortable in a small room. 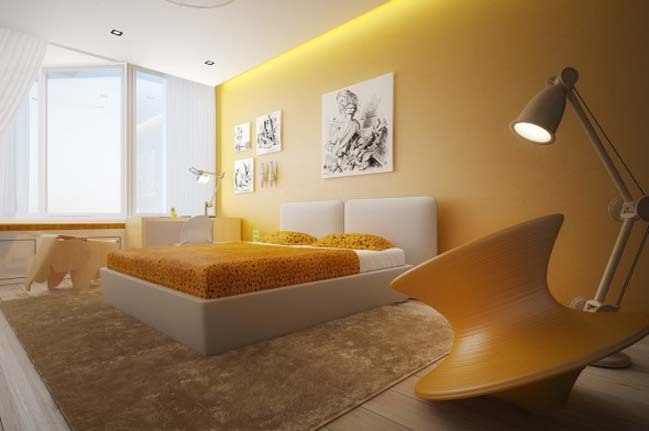 So let's choose a light tone as main colour for your small bedroom. #02. Let raise your bed higher than floor with a suitable distance to create a small space for your work or study corner right at below your bed. Not only that, the small steps that lead you up to bed can be used to create small cabinets that allow you have some extra spaces to store your belongings. #03. Maybe, this is an unique idea in this article - a smart shelf that has a creative movable design to optimize space that you can make "an interesting prestidigitation": "appear or disappear" your bed and desk in front of your friends by simple operation. #04. Mirror. 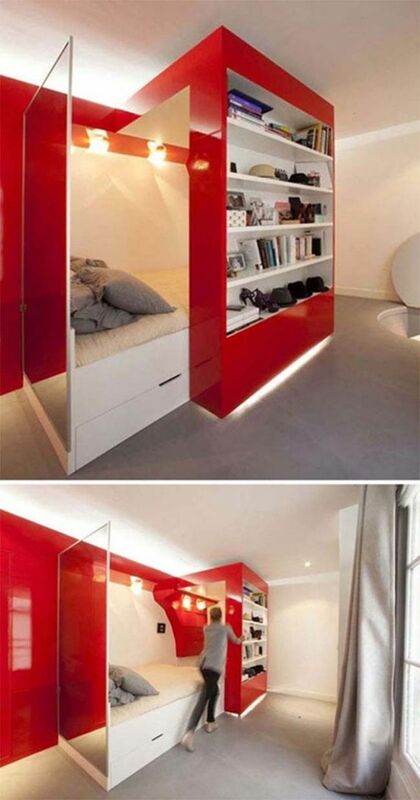 Yes, the mirror will make your small bedroom has a larger and deeper feeling. Follow the Asian, placing a big mirror in bedroom is a forbiden thing but only need a right position, especially avoid placing a mirror direct your bedhead, so everything is ok.
#06. 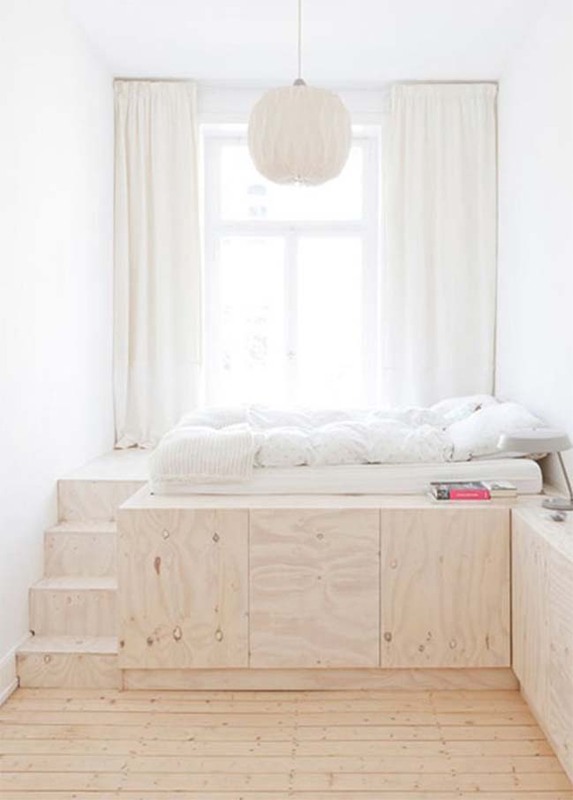 If at the tip #2 we've introduced you the idea of raising a bed to create a space for a desk, then this is an other great suggestion that instead of creating a space for a desk you can replace by a cabinet system in order to having more space for storage. #07. Minimalist style is a lucid decision for a small space thanks to its advantage like as less furniture layout, simplify details will help you have a ventilation space and more comfort. #08. Besides the bright and monochromatic tones, you can add the highlight colors such as red, yellow, green, etc. 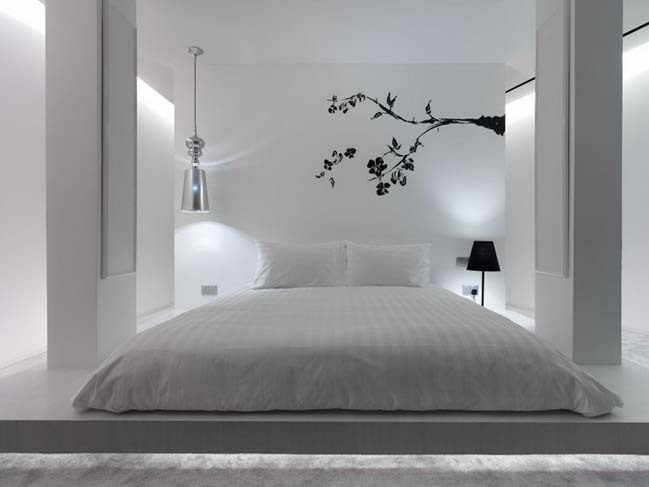 to create a full of vitality atmosphere, but also make you feel happier in a small bedroom. #09. 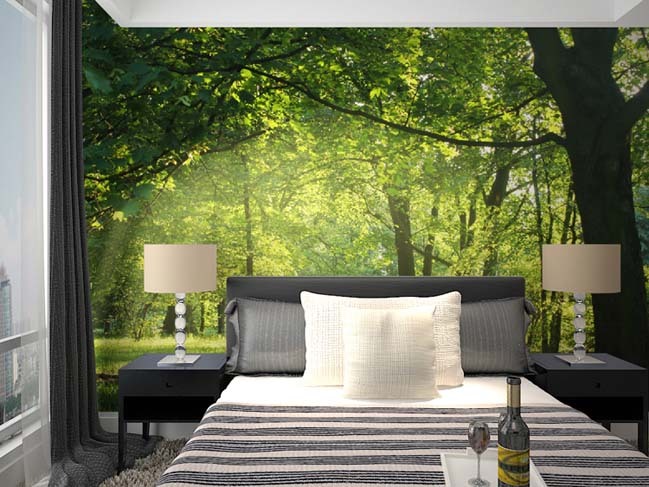 Decorating your small bedroom with mural walls - a picture of forest, seascape or night of city scenery will make your room deeper with a relax feeling. #10. The last one is also the first choice for a small space is a murphy bed, because it will help you save area maximum in order to create more space for a small bedroom.